Chambers Canada ranks the leading law firms and lawyers in all provinces and territories in Canada. 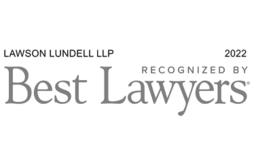 The Best Lawyers in Canada® compiles lists of outstanding lawyers by conducting peer-review surveys in which thousands of leading lawyers confidentially evaluate their professional peers. A listing in Best Lawyers® is widely regarded within the legal profession as a signal honor, conferred on a lawyer by his or her peers. 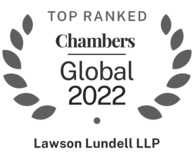 Chambers Global ranks the leading law firm and lawyers worldwide, covering over 190 countries across the world and also includes Region-wide and Global-wide sections. 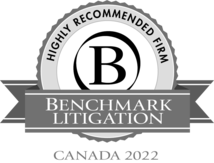 Benchmark Canada focuses exclusively on litigation in Canada. Their rankings and editorials are divided on a provincial basis. The guide's results are the culmination of a four-month research period that allows researchers to conduct extensive interviews with litigators and their clients. Keith Bergner named Aboriginal Law Litigator of the Year at the Benchmark Litigation Canada Awards 2013, 2014, 2017 & 2019. Published for over twenty years, the Legal 500 Series provides comprehensive worldwide coverage on legal services providers in over 100 countries. It is used by commercial and private clients, corporate counsel, CEOs, CFOs and professional advisers - as well as by other referrers of work both nationally and internationally. Since 1996 Who's Who Legal has identified the foremost legal practitioners in 30 areas of business law. In total, they feature over 9,000 of the World’s leading private practice lawyers from over 100 national jurisdictions. Canadian Lawyer Magazine is Canada’s first and foremost award-winning publication of Canadian law. ‘Canadian Lawyer’ has ranked the top 10 Canadian law firms in their respective regions. The rankings are based on regional service coverage, client base, notable mandates, service excellence, and legal expertise. With a history spanning 140 years, the Martindale-Hubbell Legal Network covers over one million lawyers and law firms in over 160 countries.